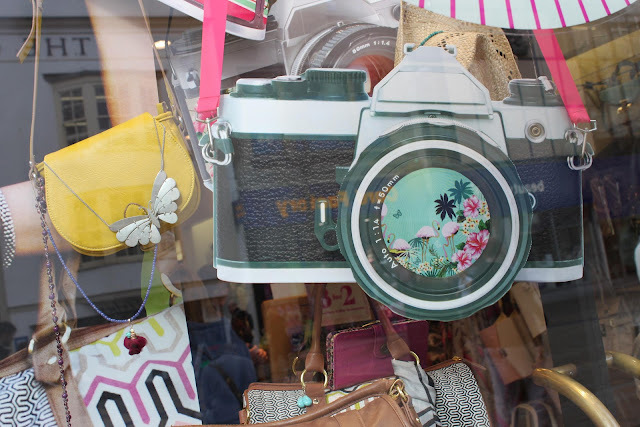 Chandlers vice aims to capture the best Visual Merchandise about town, curating examples of fleeting displays and exhibiting online the art of window dressing. 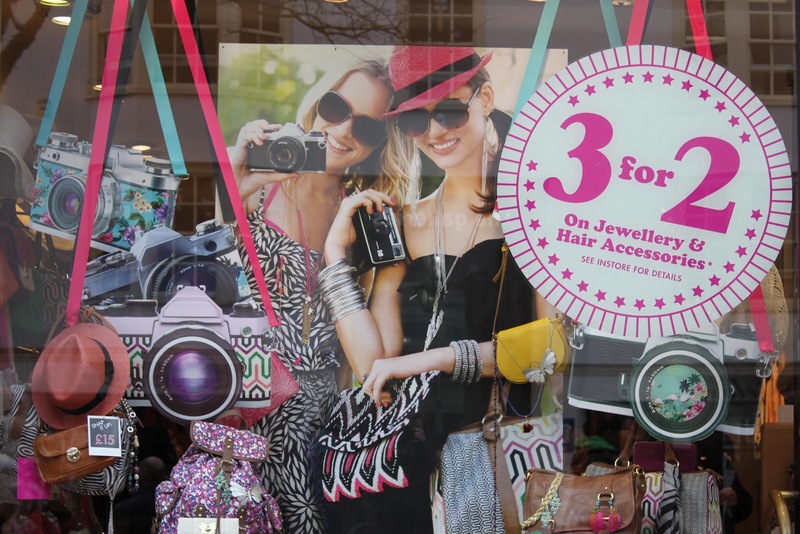 The visual merchandise team at Accessorize have got enviously summery displays up at the moment. Chandlers think they are right on trend and tap into a nostalgia for archaic retro machinery, particularlly cameras that many of us will remember growing up with. 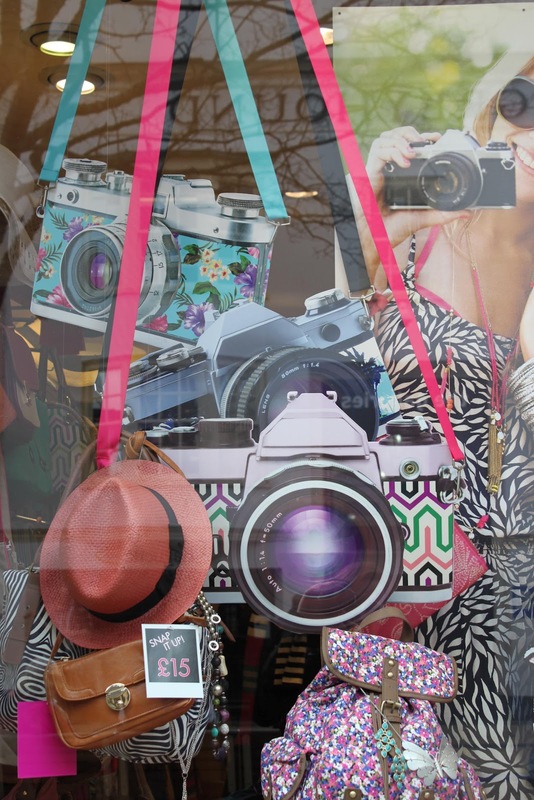 The holidays not only start with packing your bags, but also getting sunglasses and film for your camera (for those of us who are oldschool!) 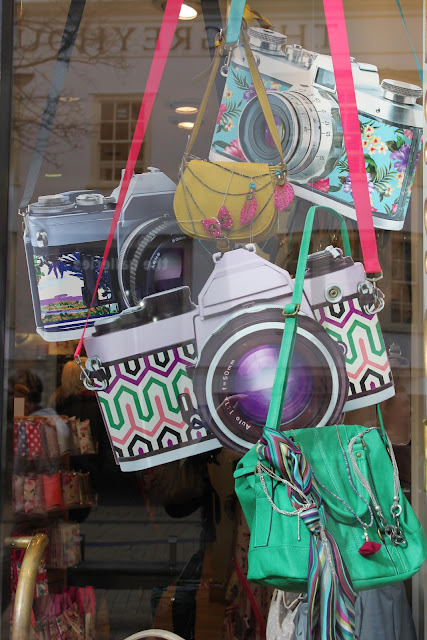 So the cameras are the perfect device that not only conjure up fond memories from previous holidays, but echoes the shape of the handbags on display.